If new discoveries in the OS code prove true, Apple could be planning some clever, instant social media sharing skills for the iPhone’s photo app. Could this have beaten Instagram and Color to the punch? Apple seems to be planning some clever, instant social media sharing skills for the iPhone’s photo app, at least if new discoveries in Apple’s code prove true. Could Apple have even pre-empted Instagram and Color? An observant iPhone user, digging around in his iPhone with a third party app, has uncovered all sorts of indications that Apple had been planning to implement the tech in the current release of its iOS 4.3 code that powers the iPhone, iPod touch, and iPad. The code seems to have been disabled at the last minute, and is stirring rumors that in its upcoming release of iOS 5, Apple has some very big social media tricks planned. We’d heard a while back that Apple was planning a social sharing system based around images called “Photo Stream,” but it looks like the company was more advanced with its plans. 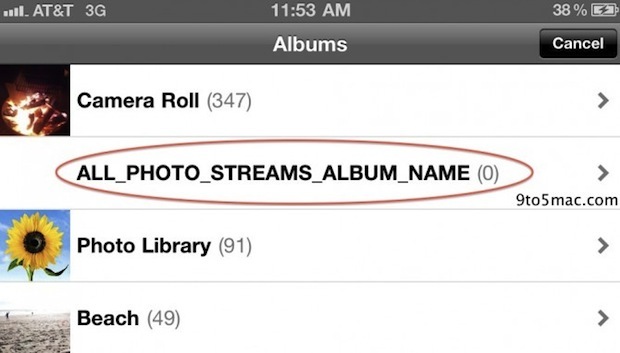 Hidden inside iOS 4.3 are API hooks with names like “all_photo_streams_album_name” which relate to the photo albums you can build up as a kind of gallery in the native Photos app. The idea seems to be that any app that can deliver images to the iPhone’s internal image store could also instantly share the images online in a number of clever ways–including a private friends/subscribers-only feed and a more public image sharing system. Since iPhone photos can also be automatically geo-tagged, there’s no reason why a system that emulates hot-new app Color in every way, built right into the phone at OS level. That also raises the intriguing point that Apple could’ve beaten apps like Color or Instagram to the punch, but chose not to. The system seems to be centered around Apple’s MobileMe cloud service, which is currently a largely paid-access offering that limits the free use of systems like Photo Stream by its very design. But we’ve heard from a number of sources that MobileMe is about to receive a serious revamp that could see widespread social media powers and free access–a fact that this new discovery seems to underscore. In fact, an emphasis on photo sharing could be very good for Apple, since it’s such a hot meme in the tech world at the moment. 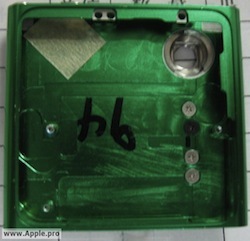 Is this why, we wonder, the iPhone 5 may be getting an 8-megapixel cam, the iPad 2 has a camera, and it looks like Apple’s even planning on bolting a tiny camera into the diminutive iPod Nano?